As conventional fuels such as gasoline and diesel become more expensive across the globe, there is a growing demand for development of alternative drive systems for various markets. As a short-term solution, CNG powertrain systems are attracting increasing attention. Not only due to their price but also because they provide greater environmental compability. MGH-Germany GmbH is the first company in Germany to develop new products ready for the CNG system as well as for small-volume OEM conversions. One of these products is the CNG pressure regulator in different versions for 2, 3 and 7 bar output pressure. 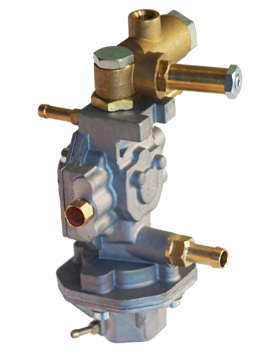 The newly developed CNG pressure regulator functions excellently in comparison with the products of rival manufacturers. The two-stage design provides cutting-edge performance in a compact package and the most stable output pressure available. An integrated high pressure filter casing, a shut-off valve and a fuel pressure sensor are included in our design and can be supplied with or without our integrated filter casing. 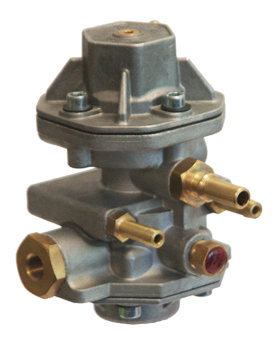 This regulator (PR) is designed to exceed fleet and OEM standards of reliability and durability. The MGH PR is ideal for heavy duty applications. Thousands and thousands of MGH PRs have been supplied to customers and were used millions of miles off road.